Almost a year ago I officially started working as an independent agronomist. March 20th, I launched a new website and spoke at a conference for the first time as The Accidental Agronomist. I’ve come along way from wondering if this crazy idea I had to go out on my own was going to work. I'm not saying there hasn’t been challenges and times I have wanted to quit. I still face that, however as I keep at it, there is one thing that has been a recurring theme: more growers than what I would have guessed don’t have a basic understanding of agronomic concepts and principles. Farmers, that’s right – the very people that are putting into practice the science of agronomy, or at least should be, don’t even know what agronomy is or why they should have some basic understanding of it. I’m not saying everyone that is farming falls into this category, nor am I saying that everyone needs a degree in it to farm or grow. What I’m suggesting is that if more farmers/growers understood some basic concepts, you would be equipped to make better decisions about every facet of your farm. Everything from the inputs necessary to grow a crop, irrigation, seed selection, soil fertility, soil health, disease and pest management, yield goals, and way more than I care to type out are dependant on just a few simple concepts that are universal no matter what type of system you use to grow. 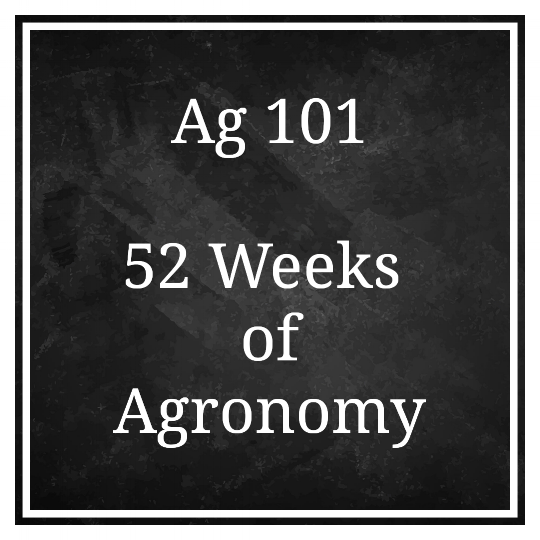 Let’s start with what agronomy is. The most basic definition is the scientific management of land. It is the practice of using science and applying those concepts in practical ways to efficiently and successfully achieve the growers intended goal for the land. If you want to grow kumquats and be the best kumquat grower in the world, you manage your land and resources to achieve that goal. How you want to manage, but more importantly are you willing to do what it takes to be successful are the most critical issues you should tackle first. If being the worlds best kumquat growers means you have to find land that can support that crop but means you move halfway around the world to do so, are you willing to make that commitment? If it means you farm 24 hours a day only taking the third Tuesday of every other month off, are you willing to do it? Is the management strategies required to be successful at growing kumquats what you want to take on something you see yourself doing? Obviously this is an extreme example, but hopefully, you get the point I’m making. Shifting your thinking to terms of land and crop management can help you to start and develop achievable strategies.